How are those Gold and Silver Coins Working Out? Every morning I watch the financial news for about an hour and a half before getting ready for work. I don’t know why it took me so long to notice, but it occurred to me this morning that there wasn’t a single commercial for gold and silver collectible coins. There also was no mention of the world coming to an end, money being worthless, or life as we know it ending soon. As I have explained many times before, I do not invest in gold because I consider it to be speculation, not investing. (See my previous blog on that particular subject.) The reason I don’t invest in precious metals is because there’s no way to evaluate whether the price is reasonable or even fair. How do you evaluate something that has no earnings, no cash flow (no dividends), is not particularly scarce, and only changes hands on an individual basis? I vividly remember when gold (GLD) and silver (SLV) ETFs started, with the exclamation that it enabled average investors to purchase gold and silver without actually having to take physical delivery of the metal. Since the first of the 2013 year, GLD is down a stunning 23.79%. It’s even more pronounced when you take the current quarter into consideration, noting it’s down 20.07%. The same goes for SLV; it’s down 35.6% for the year-to-date and 31.15% for the quarter. As of yesterday, the S&P 500 is up 12.5% year-to-date. Does it surprise you given those statistics that you do not see any advertising right now for gold? As I have mentioned many times in the past, these gold and silver coins that are advertised on TV are even worse investments. They have virtually no market except generally from the person who sold them to you. They contain very little of the precious metals and would have to be melted down in order to obtain even a small percentage of the metal. Therefore, from an investment standpoint, these coins are virtually worthless. When the actual metal is put in perspective, it’s interesting to see how the market reacts to the price. As the price of any commodity goes up, more and more of the commodity is mined. It’s a simple definition of supply and demand. If the prices get high enough, people will spend the money to mine it. As the price of gold and silver continued to rise over last few years, increased production of the precious metals have made the supply increase, reducing the value of the commodity. It was once said that gold was the ultimate hedge for inflation, and therefore, you should purchase gold if you wanted to inflation-proof your portfolio. That seems to fly in the face of the increase in gold over the last few years, since inflation has been extraordinarily low. Then there are those who argue that gold is really the protection against deflation. You couldn’t really argue with that since there’s not been deflation in the U.S. for many years. In summary, investing in precious metals is not like investing in stocks and bonds. With financial instruments, you can actually evaluate their cash flow, earnings and market reaction to those known facts. 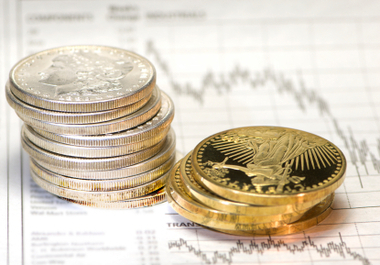 With precious metals, however, there is no cash flow, earnings or anything else to evaluate except public sentiment. Since I cannot evaluate that, this is an asset class we avoid. For those of you who bought commemorative gold and silver coins, I suggest you dig them out of your underwear drawer today and see if you can sell them back to whoever sold them to you. I think that’ll help you see how investing is different from speculation. The media has been shouting for the last several days that the financial markets are in turmoil and a severe correction has started. If you read the front page of many national publications, you can almost rest assured that the information is sensationalized. While the markets have undoubtedly been extraordinarily volatile over the last three weeks, there is no reason for investors to panic. The markets have been down in excess of 500 points over the last two days, but don’t be so quick to forget that on Monday and Tuesday together, they were up greater than 200 points. These movements in the market are symbolic of trader activity – traders who were likely trying to take a position before June’s triple witching day. This is the third Friday of March, June, September and December, and it is the expiration day for three types of standardized contracts: stock options, stock index options and stock index futures. Investors often unwind their positions on these contracts during or immediately before triple witching days, leading to increased trading volume. Unfortunately for us, none of these items have to do with investing – they have to do with speculation. At approximately 3:00 p.m. EST on Wednesday, June 19th, Federal Reserve Chairman Ben Bernanke gave a press conference regarding the economy. Almost immediately afterwards, the markets took a huge nosedive. The sell-off continued on Thursday, causing the Dow to fall 354 points for the day – its biggest loss of the year. 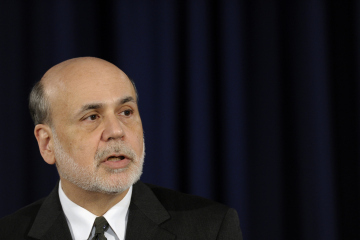 What did Bernanke say that caused such an adverse effect on the markets? That the economy was falling into a recession or depression? That unemployment was getting ready to skyrocket or that the U.S. government was going to default on its bonds? Nope, not at all. Bernanke said Wednesday that, based on current positive economic conditions, the Fed might start to cut back its bond purchasing starting in the fall and stop buying them entirely during 2014. He also said that the Fed would hold onto the securities it owns and reinvest the interest from them, which he expects would help keep long-term rates low. There’s been great anticipation in the investing world as to what the Fed would do with its bond buying program. The Fed is currently buying $85 billion monthly in bonds in the open market to keep interest rates low, and they have been tremendously successful in keeping interest rates near zero which is helping the real estate market. Bernanke basically gave us his strategy in the bond buying program, and said that if the economy does not perform as expected, then they would not cut back and ultimately end its bond purchasing. What explanation could have been clearer? Responding to a question from the audience, Bernanke made it absolutely clear that he didn’t anticipate any interest rate increases until 2015. Make sure you understand that he is talking about a two-year period from today before the Fed even contemplates increasing interest rates – a move that they will only make if the economy can support such increases. I can’t imagine anyone who was paying attention to his words misinterpreting Bernanke’s specificities and the Fed’s intentions. Not only was the information relayed by Bernanke good news for investing, it also provided two other important positive indicators for investing. Specifically, the Fed moved up its GDP projection for 2014 to a range of 3% to 3.5%. This isn’t robust, but it’s a long way from negative. The Fed also forecasts the U.S. unemployment at 6.5%-6.8% in 2014, a remarkably better percentage than the current rate of 7.5%. Therefore, the Fed’s analysts feel that the economy is set to improve through 2014. Once again, this is a very positive sign for equity investing. As a supplement to the other financial information, the Fed reported that its anticipation for inflation actually ticked down. They expect inflation over the next few years to be less than 2%. In fact, the core rate (excluding gas and food) for the last 12 months is only up less than 1%. Low inflation in an improving economy is a very positive sign for the stock market. Given all of the positive information provided by Bernanke, who would’ve expected the negative reaction by the financial markets? In addition to the Dow’s 5% sell-off, bonds were absolutely crushed over the last two days. The 10-year Treasury bond has gone from 1.4% in May to 2.43% - a historic move in such a short period of time. And did I mention that the anticipation for inflation was virtually zero, which would imply lower bond yields, not higher interest rates? Duh – what is going on here?!? My point is this – the reaction from traders should be ignored by investors. Investors need to evaluate the underlying investing environment and not worry about the day-to-day volatility brought on by traders. The truth of the matter is that for the month of June alone, the S&P is down only 2.5% and continues to be up 12.4% year-to-date. This performance is quite remarkable only 5.5 months into this investment year. There’s no question that bonds have been crushed over the last few months, but I believe this topic has been grossly exaggerated. For the first time in years, a 10-year Treasury actually has a positive real rate of return. If you can buy a Treasury bond at 2.4% and inflation is only 2%, you are finally actually making some money. That has not been the case over the last three years when Treasuries have had a negative real rate of return. While the correction in bonds has been severe, I anticipate that they’re highly likely to make money over the next year. It’s unlikely for the rates to continue going up an enormous amount over the short-term. My forecast is that a few years into the future, interest rates will have to increase and bonds will have negative rates of return. But, I don’t believe that is an immediate concern for the next 12 months. Corporate earnings continue increasing going forward. The economy is forecasted to continue to expand up through 2014. The Fed has indicated there will be no significant interest rate increases through 2015. Even though interest rates are higher, they are still at historic low levels. Because interest rates are still low, buying Treasuries or CDs provides rates of return that barely matches the cost of living. Money markets are paying virtually nothing. Corporate balance sheets are rock solid. Corporations and individuals currently have $3 trillion of un-invested cash in money market accounts. There’s no question that the economy is improving in our part of the country. There’s new residential construction everywhere around my house, and the house across the street from mine (which was vastly overpriced) sold in less than 30 days. Potential homeowners are finally seeing that when interest rates start to move up, they need to move quickly to purchase property before the move occurs. Economic activity, again, is created every time a new house is built or sold. I will provide a more in-depth analysis after the end of the financial quarter (June 30th), but because of the high volatility in the markets this week, there were some things I wanted to point out to you regarding investing. At Rollins Financial, we are not traders, and if you are an investor, nothing that has happened in the last 30 days has been anything but positive for investing into the future. This week’s question comes from Julie, a client who has small children and would like to start instilling the value of money in her children. Q. Do you have some strategies for teaching my kids about money? A. Children are wonderful, most of the time. I have two young daughters – Harper is 3½ and Lucy is 1½. Harper has shown some interest lately in accumulating her savings. Now, I’m not sure how to categorize her instincts, but on an almost daily basis, she checks the top of Mom and Dad’s dresser for loose change. If she happens to score, she promptly grabs the change, runs into her room, and deposits the loot into her piggy bank – a somewhat brazen savings scheme, if you ask me. It’s almost never too early to start working with your kids at helping them to understand money. At 3½, Harper might be a little young to grasp the more complicated concepts, but she likes to count. We introduce the comparison between the different coins and their values. And of course, we can help fill up her piggy bank as she saves for a special toy or treat. Finally, we remind her that these coins are earned when Mom and Dad go to work every day. Hopefully, these building blocks towards financial literacy will provide a basis for understanding money and its value. As kids get older and start school, you can introduce an allowance and financial incentives for helping out around the house. Introducing the connection between work and money is a concept kids can catch onto quickly. Paying children an allowance will encourage them to save and accumulate for something they really want. The hardest part for some parents – especially Dads with endearing little girls – is to withhold purchasing the item until the child has actually made the effort to save for it. For older children, budgeting becomes more important as children bear more responsibility for their financial transactions. Budgeting can help develop spending discipline. Certain funds might be earmarked for weekly fun, like grabbing a burger with friends or buying electronics and video games. 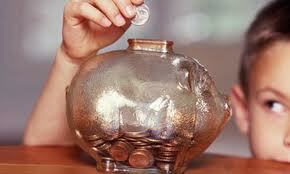 But a budgeting can even include saving for necessities like clothes or transportation. Budgets can even include a charitable element. But other funds can be earmarked for longer term goals like buying a new bike, perhaps a car, or even saving for college. This is a great time to introduce concepts related to investments and saving. Savers young and old can be encouraged by the idea of building a savings account and the idea of compounding investment returns. Finally, as children move towards young adulthood, they should be encouraged to handle their own checking accounts, which will surely include ATM and debit cards. They will learn about the various fees associated with having a checking account and using the ATM card. Credit cards may be an option and is definitely a subject to be discussed, especially for those kids just starting college or going out on their own. Roth IRAs and traditional IRAs may also be appropriate for teenagers and can be good tools for encouraging retirement savings early in life as young adults embark on their careers. Talking to children about money won’t keep them from making any mistakes. Some significant messes are worth cleaning up, but some smaller stumbles might be good learning experiences and teachable moments. But talking to your kids about these issues will hopefully help your kids stay out of financial trouble more often than not. In a nutshell, parents don’t need to be money gurus to teach (and practice) financial-literacy skills to their children. Kudos to you for starting your kids to be financially savvy at an early age! We knew the day that interest rates would start rising would come eventually. Due to mixed signals coming from the Federal Reserve, that finally started to happen during the month of May. The very important 10-year Treasury bond has moved up from approximately 1.5% to 2.1% in recent weeks. And while 2.1% is still historically an extraordinarily low rate, this move has been fairly dramatic considering the relatively short period of time that it has occurred. May was another very good month for the stock market. As every month in 2013 has proven thus far, if you’re invested in quality mutual funds, then it’s highly likely you’ll make a profit regardless of the underlying economic news. The S&P Index of 500 Stocks was up a very satisfying 2.3% for May, and it is now up 15.4% for the year. The NASDAQ Composite also turned in an excellent performance, up 4% for the month and 15% for the year. The Dow Jones Industrial Average was up 2.1% for the month and 16.5% for the year. Even the small-cap Russell 2000 Index was up 4.1% for the month and 16.6% for the year. It’s remarkable that all four of the major market indices are up almost the same percentage for the year, and the range from 15% to 16.6% for four broadly-based indices shows how strong the equity markets have performed thus far in 2013. The performances of the other asset classes in the financial world were not as satisfactory. 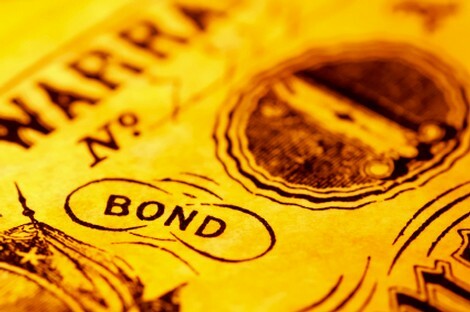 Because of the increase in interest rates, virtually all bond funds suffered a decline during May. In fact, the aggregate of all bond funds declined 1.9% for the month. Even the otherwise reliable high-yield bond funds had marginal losses for the month. While you would certainly expect negative returns when interest rates move up, I am not of the opinion that bonds will continue to suffer losses for the rest of the year. Rather, I believe the increase in interest rates that we saw in May was a market phenomenon that, at its core, had nothing to do with the underlying economics. We’ll continue observing these movements over the coming months to see if a negative trend continues. More concerning is the performance of the international markets, which almost exclusively suffered losses during May. The high-flying Japanese market took a major hit and was down significantly during the month. Interestingly, the only major international market to have gains during May was the Chinese market, and its economy probably spooked the sell-off in the first place. There is no question that China is slowing, but almost all international markets are teetering on break-even or negative GDP. Unfortunately, the European economies just can’t seem to get out of their own way. With their generations of big government and bloated public works systems, they just can’t seem to figure out how to change the economy from government-based to private-based. Hopefully, Europe is slowly but surely catching on and in the coming months their economies will stabilize. During a conversation with a client the other day, it became apparent that the returns for the stock market are often misperceived by average investors. This particular client proclaimed that the stock market’s returns over the last decade were fooling investors about long-term performance. He assured me that bonds had outperformed stocks over the last decade, and he was even willing to make a wager on that fact. I didn’t want to be too argumentative so I accepted his presumption, although I was relatively sure he was incorrect. After reviewing the facts, I found his information to be totally flawed. Over the last 10 years, the S&P 500 has averaged an annual return of 7.6%; the NASDAQ has averaged 9%; the DJIA has average 8.2%; the Russell 2000 has averaged 9.8%; and the Barclay’s Aggregate Bond Index has averaged only 4.4%. As you can see, bonds have, on average, returned less than half of the broad major market indices. The media’s constant pounding of some impending downturn in the market has convinced investors to believe information that is not supported by reality. The increase in interest rates during May created a strange and unusual investment environment. For some reason, the momentum traders believed that the increase in interest rates would somehow affect the excellent performance that high-yield dividend stocks have enjoyed for the last several years. How anyone could logically assume a 2.1% Treasury could compete with a utility stock paying 4.5% continues to be a mystery to me. However, traders tend to move in waves in the same direction at the same time. As we enter into the dreadful investing months of summer, I find myself answering the almost daily question of where we stand today. Frankly, the economy seems to be going nowhere – which is not all bad. While the housing sector is certainly improving and there are other positive signs for the economy, it simply doesn’t seem to be improving very quickly. As strange as that seems, that’s actually a positive sign for stock market investing. As long as the economy continues to be flat, it’s highly unlikely that you’ll see the Fed stop its massive stimulus initiative. By virtue of a slow economy, I think you’ll continue to see the Federal Reserve expand the monetary base, which is nothing but positive for stocks. Of course, there are many potential concerns. We can all fret over the huge tax increases all of us will suffer at the beginning of 2014. It’s now being reported that medical insurance rates will increase significantly in January to accommodate the Obamacare provisions. Additionally, there are potential repercussions from the huge new taxes being instituted on the wealthy, which I fear most taxpayers don’t realize. The European economy continues to putter along and Asia is clearly trending down, even though it’s still quite posi¬¬¬¬tive. I could make a long list of things for us to worry about, but I would also be compelled to tell you not to worry just yet. As I’ve often mentioned, the major positive investing component continues to be the support of the stock market through higher earnings and low interest rates. Even with the increase in interest rates, the S&P 500 dividend yield is still higher than the interest rate earned on the 10-year Treasury. Rarely has this high dividend rate extended over such a long period of time (i.e., higher than the 10-year Treasury). Earnings continue to be excellent and even though the rate of increase is decelerating, it continues to go up, not down. For the time being, everything appears to be stable from an investment standpoint. As you know, anything can change overnight. It wouldn’t be unexpected to see a 10% decline in the market at any time for no good reason, but with almost no better alternatives for investing money, I would be surprised to see a major decline for the rest of 2013. In fact, corporate earnings appear to be on pace to increase in 2014, which is always a positive. There’s been much publicity regarding the projected decline in the federal deficit over the next several years. I wonder how much of those projections were tainted by the fact that many taxpayers pre-paid taxes in 2012 to avoid the huge increases in taxes in 2013 and 2014. If these projections were based on the analysis that these tax gains to the government would continue, then those projections couldn’t possibly be true. Unfortunately, the federal government continues to do absolutely nothing, and therefore, the huge deficits will continue. Congress may criticize sequestration as being inappropriate, ill-advised and misplaced. From my standpoint, it’s the only thing Congress has done right in a decade or so. 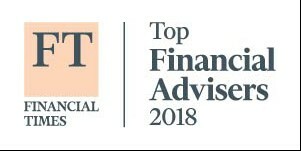 Now is an excellent time to visit with us and review your financial plan. And if you have cash sitting around earning nothing, what time could be better than now to consider investing that cash?